This is because from the earliest writings about human beings, and their health, the existence of the subtle energy of the universe and the subtle energies of the human body stand as a statement that we are much more than what meets the eye. There are many reasons to take a Reiki I class and begin your journey, possibly eventually learn more, or even become a practitioner (there are three levels or degrees in this school of spirituality training and/or energy medicine, as well as a Teacher-Master level.) Your reason is the basis for your choice, but perhaps some inspiration will touch these desires here. The word itself is certainly compelling. The Japanese word is a combination of two concepts: rei-Spirit and ki-universal energy or breath and basically means Spirit in movement as consciousness or universal energy. While the formal system was developed in the early 1920s by Mikao Usui records date back to the 300 BCE era to this ‘inward training.’ So Why Reiki? First of all, Reiki offers a systematized way to learn about, and work with, the energy that informs us and yet goes unseen. It is a way of getting to know ourselves and others, and can give understanding when we ‘sense’ or ‘intuit’ things to aid us. Generally speaking, the trains of thought around subtle energy hold that the physical part of who we are is the densest, and comes forward from the lighter energy. So to experience and understand the subtle energy would empower you to create a life with greater health and joy. Barbara Brennan, in her groundbreaking book, “Hands of Light,” states that all disease comes from beliefs, and the ways we respond or interact with these beliefs. All of this takes place in a dance between Life Force, and the assimilating subtle energy bodies, creating and leading to the physical bodies we claim as ‘us.’ In very simple terms, we can liken the physical body as the fruit of the rest of who we are. Secondly, Reiki gives us a playground wherein we can help others, in any arena of our lives. It can be a developed skill, an education if you will, that forms us to be better listeners, or to grow confidence in our intuition as real and worthy of following, or even to use directly by the laying on of hands to channel Life Force to those that turn to you. 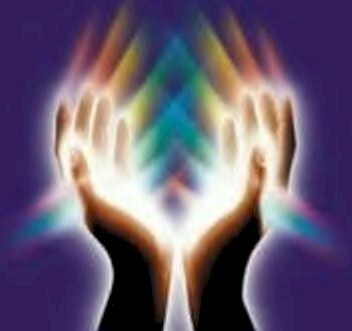 In essence, Reiki enhances the intuition, raises our vibrations and develops or increases self-confidence in all areas of one’s life. It’s such a great tool for helping us deal with life’s situations in addition to the healing aspect which is a gift to use on ourselves, pets, plants and others. A mystic, Teresa of Avila once said, ‘What if you entered a foreign country and everyone asked you, ‘where are you from? And what is your name?’ and you responded, ‘I, uh, don’t know where I am from and have no idea of my name.’ this sounds ridiculous, but it is a perfect example of how little we know our true selves. Last, Reiki opens up new ways to connect to the universal Life Force. The more we remain open to Source, the more our lives are enriched in unexpected ways, the more synchronicity knocks upon our door, brightening our gratitude for being alive. A schedule of Ann’s upcoming Reiki classes can always be found here. Her next Reiki I class is scheduled for Saturday, February 21st, 2015 in Fort Collins, Colorado. Click here to learn more or register. The session is booked. You hold in your heart and mind the intentions for making the appointment, the hoped-for results or shifts. But how can you prepare yourself for the movement of ki (or energy?) As we all know receiving is not always easy, and though the Reiki treatment will work on deep levels no matter what state you are in, you can contribute to its effectiveness by preparing. In this way you participate in the movement of universal Source energy as it continually moves through the ‘you’ of your own energy. 1.) From the time you booked the appointment, to its actual date, choose activities that cultivate calm and relaxation. 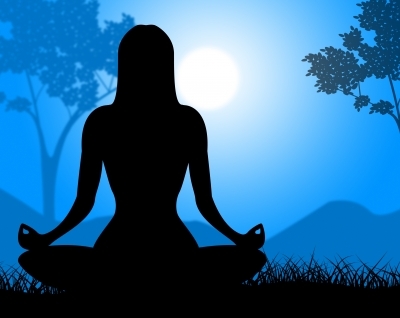 Make a conscious effort to allow your body and mind to relax and be relaxed. Talk a walk, meditate, watch your breathing, light essential oils in your house, read an inspirational book or similar types of activities. When you choose calm, you allow yourself to open and let go of the hidden stressors that can cause contraction, and thus constrict the movement of energy within yourself. 2.) Embrace what you are largely made of! That is, water. Drink water, flush the body, take a bath. Water is both a symbol, and physical example, of fluidity and we are mainly made up of this fluidity. Introduce more water into your day, imagine yourself floating in water, moving in the direction of peace, joy and freedom or feeling these qualities move within you. Water is also about intuition. Being in dark watery places enhances intuition. Water is associated with the kidneys and of course our kidneys need to be hydrated. We use our kidney energy when tuning in to things (on a psychic level) and overall it’s an important part of intuition. 3.) Clarify your personal intentions. Even though Reiki works with energy that is beyond us, it is very personal and holding clear intentions can help you receive insight, and release memory on a cellular level, besides it can add to your own eagerness to experience Reiki for all your heart’s desires. 4.) Have fun. If you tend to be someone who takes yourself very seriously, lighten up, loosen up, dance around your house or skip from appointment to appointment (at least in your mind.) This creates movement, opens channels of ki and creates a sense of positive allowing. Go into your session with a playful spirit to enjoy and experience the adventure of something new, all for you! Subscribe to Ann Bibbey's Newsletter!